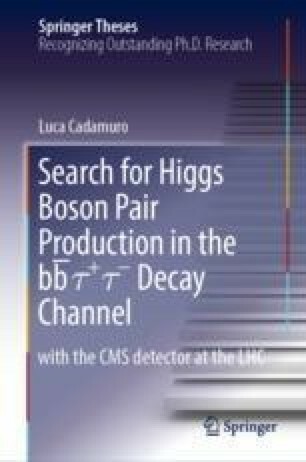 The chapter presents the motivations for the search of Higgs boson pair production at the CERN LHC and discusses the theoretical foundations of this work. After an overview of the standard model of particle physics (SM), with a special focus on the scalar sector and its role in the electroweak symmetry breaking, the importance of Higgs boson pair (HH) production in the SM exploration is discussed. The main HH production modes at the LHC are presented and the properties of the HH signal desribed. The chapter then discusses HH production in scenarios of physics beyond the SM, that predict either the presence of new scalars decaying to HH (resonant production), or the existence of anomalous Higgs boson couplings that modify the HH cross section and the signal kinematic properties (nonresonant production). Finally, the HH decay channels used in the experimental study of this process are described and the current status of searches for HH production at the LHC presented.